I ran another experiment yesterday! I was at home the whole day (actually the whole month), and had nothing important scheduled for the day, which was for me a great opportunity to focus on the 16th chapter for my Management Workout book. But whole days by myself, day after day, with my spouse away on promotional tours, can become a bit… boring. 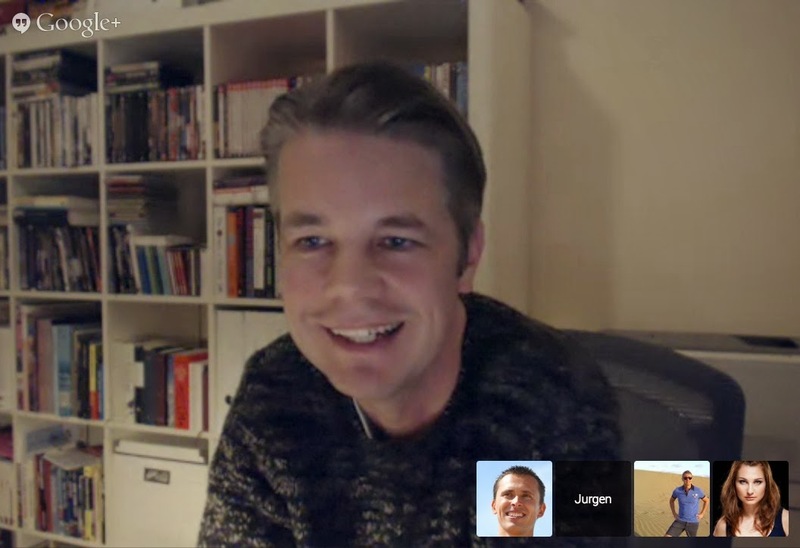 So I organized a virtual drink on Google Hangouts! I was joined by Daniel Catalina (Germany), Federico Manuel Sornoza Obregon (Peru), Robert Sundin (Sweden), Yana Poteeva (Belarus) and Lukasz Stilger (Poland). We shared wine and cokes. And I had pistachio nuts. The great thing was, we did not discuss my books, my blog, or my workshops. Instead, we chatted about quitting jobs, raising kids, consultants selling tools, best movies, watching TV, and learning Spanish. If you want to catch the opportunity for another virtual drink, whenever that is, connect with me on Google+. Join Me on My Private Virtual Street Team in February!